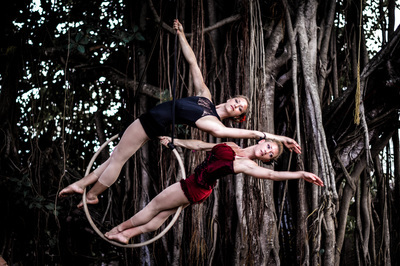 The Aerial Hoop (Lyra) act is powerful and dynamic and features a very skilled performance. 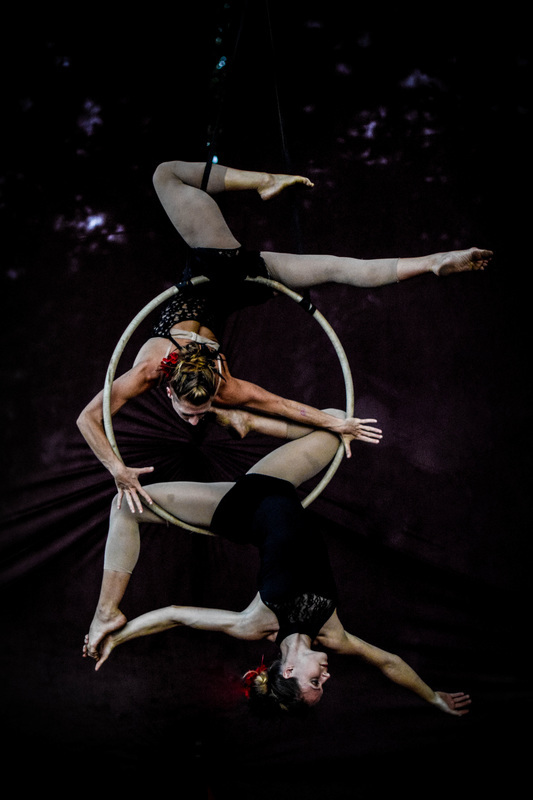 It brings tension and offers the audience a look at graceful figures showing how flexibility, elegance and strength are melting together. 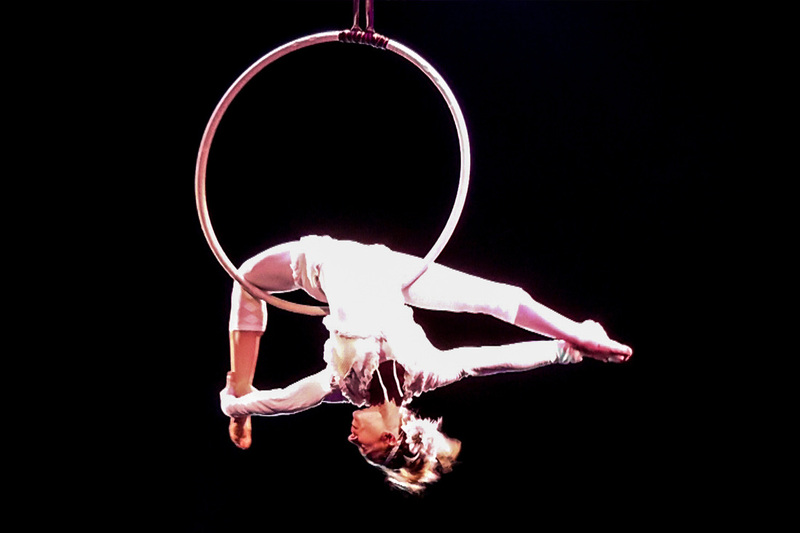 It is a fascinating performance where the aerialist spins around his axis. 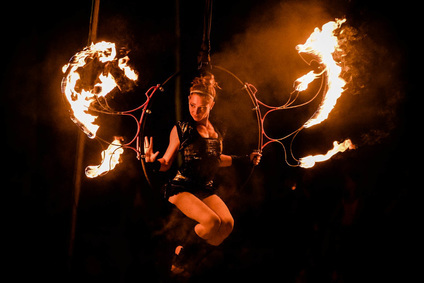 The act can be performed static and is perfect for an event that’s looking to leave a high impact! We can bring a static routine high in the air and perform it as well as a stunning flying Act, which includes a Counterweight Rigging System or a Motor that lifts the Aerialist and makes it able to go higher in the air and fly in circles. 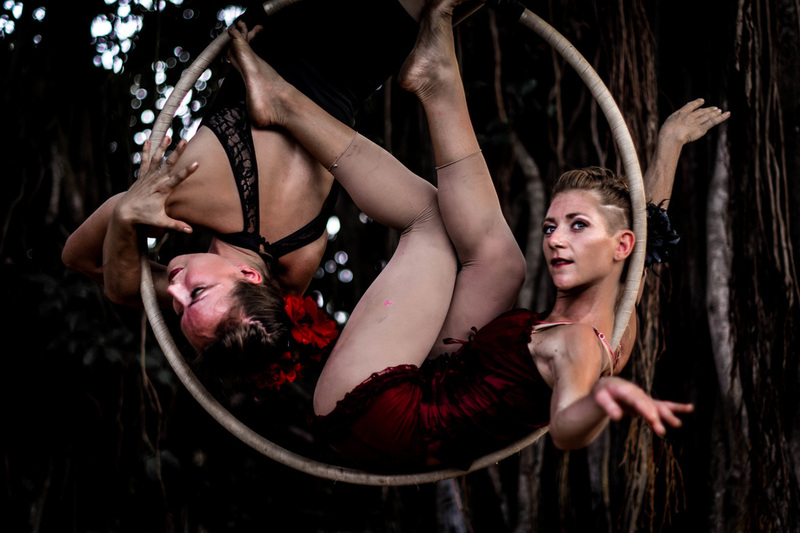 Aerial Hoop Routine Video with Counterweight: by Irene Schuberth at "Destellos" for Phoenix Creative 2013 in Lèon/ Mexico. 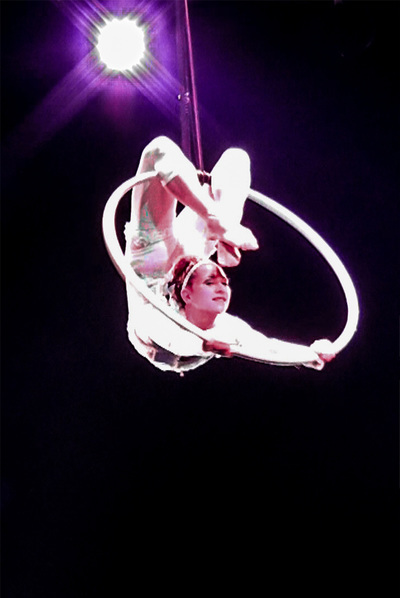 Seen by 280.000 people within 85 Shows, it was the aerial highlight of this modern circus production. 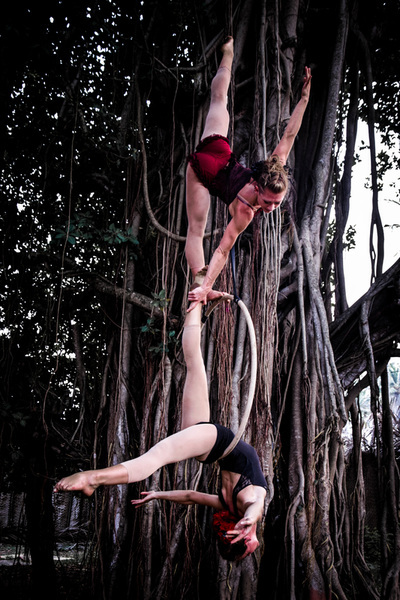 This act is with 2 aerialists performing on one Aerial Hoop. 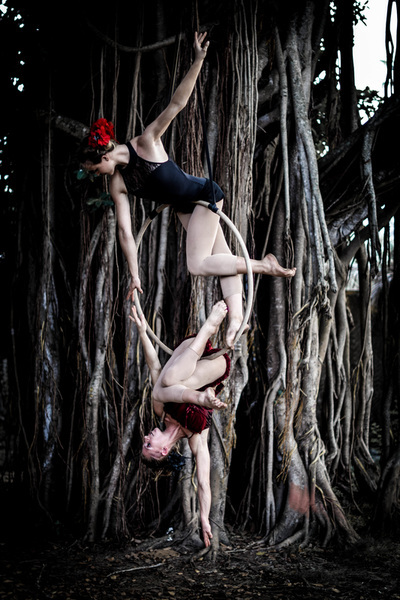 A graceful symbiosis of movements incorporating contemporary dance and defines the art aerial dance in a new way. 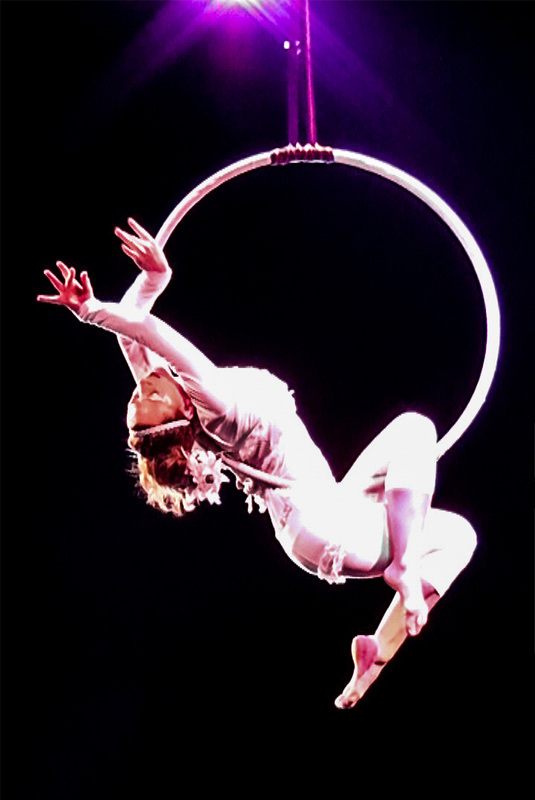 This inspiring production is a breath-taking act that is rigged "static" or motor operated and is always an eye catcher. We are presenting the Aerial Hoop as well as a synchronized duo show with 2 Lyras, "static" or motoropeated. 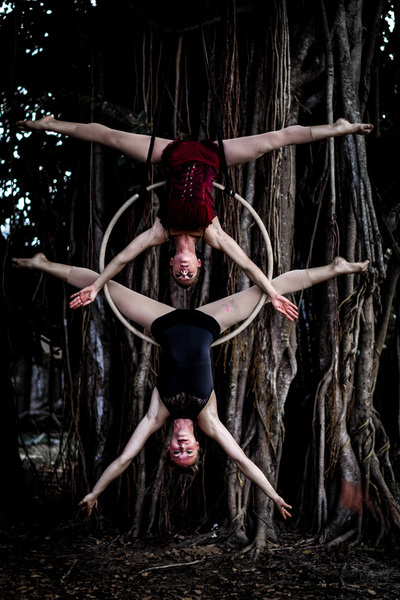 It is a choreographed and synchronized routine, where two Aerialists each on a spinning Ring, crate mirror images or move together and will leave a double impression to the audience.